Its Not Only Car vs Train Its Speed vs Bullet Race! Are you ready for biggest race of 2018? Then play train vs car: speedy race where you become car racer and beat the bullet train with the help of your driving techniques. 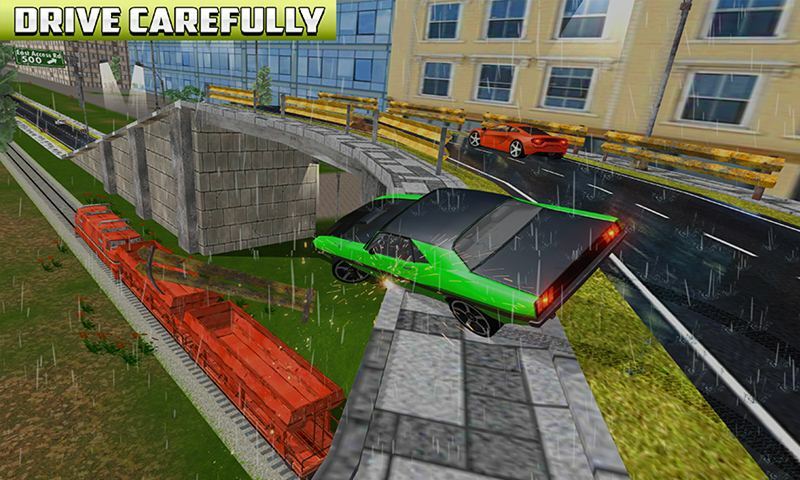 In this car racing train 3d game you have to do some extra stunts like beat your rival car in final race. You have to race with the train in different beautiful environment like snow, city & desert. 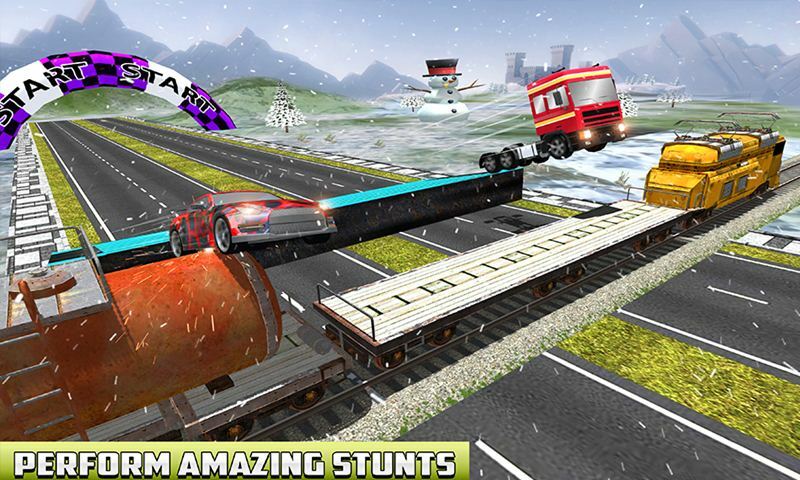 Train vs Car: Speedy Race is specially designed for all sports car racing games and ramp car jump game lovers. You will become the great race champion and beat your rival car during race on racing tracks. Enjoy your ride and avoid road hurdles while driving on racing tracks. 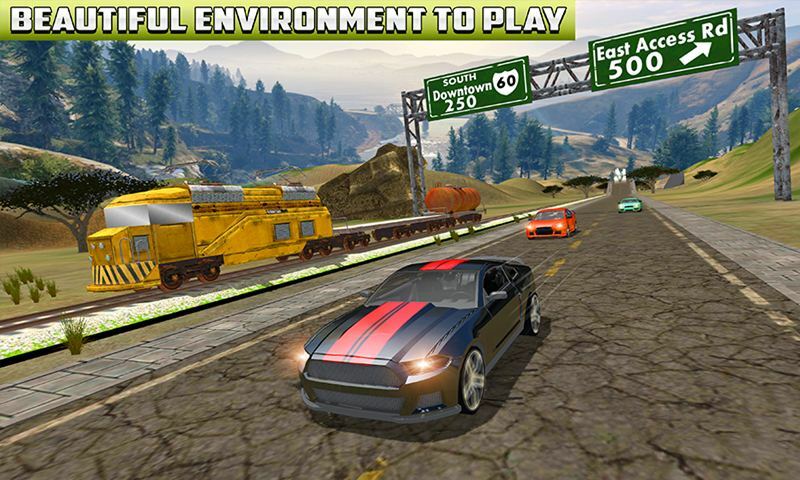 Drive your fast speed car with smooth racing controls so fast because your rivalry is with the train. 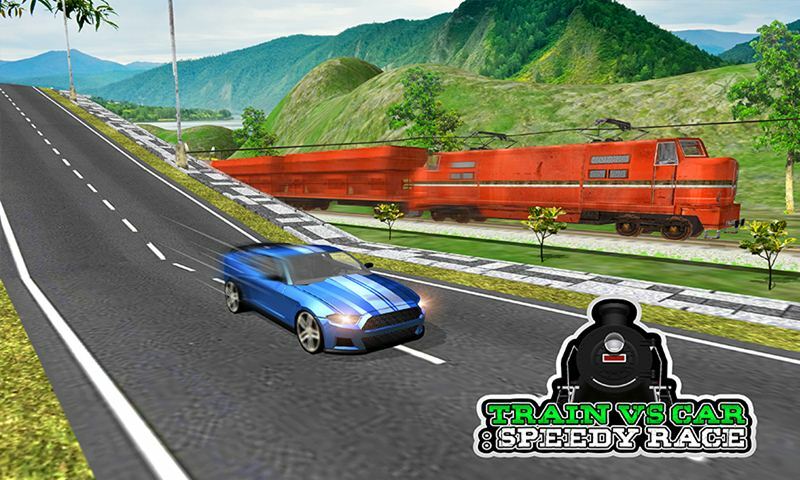 Train vs Car: Speedy Race is entertaining game with interesting gameplay where you play as car race driver and beat your rival time as well as bullet train. Choose your favorite vehicles like sports car, dodge car and racing truck while playing racing simulator. You can race and jump over the train to beat your rival car during race. Check your controls and manage them carefully during race in this racing game. 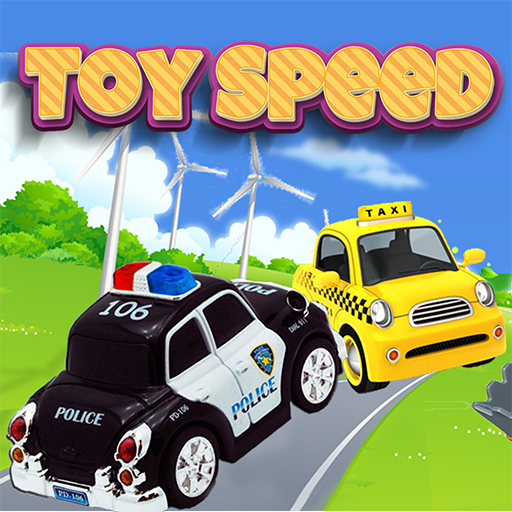 Drive your car as fast as you can and win the race against fast train. Challenging level made this racing game interesting and entertaining for user. You can enjoy ride in snow fall as well as raining atmosphere. Beat your rivals like train as well as car and unlock next missions. Enjoy the real fun of car racing through this speedy race simulator and become the legend racer of car racing world. 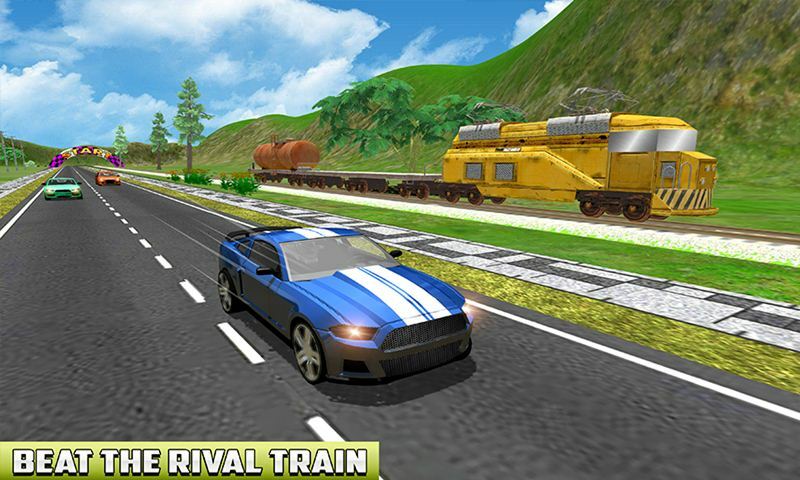 Train vs car racing mania will improve your driving experience and you become the skilled racer of racing world.